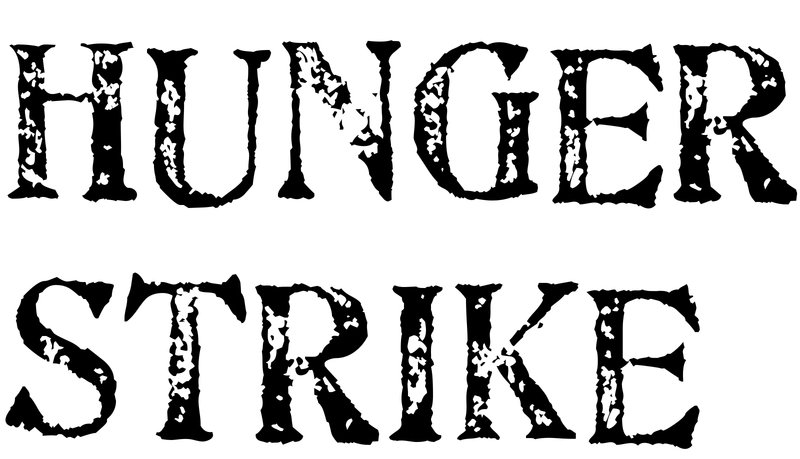 One might ask me why I’ve decided to go on hunger strike, while I could’ve used other methods to express my plight and my demands. Judge Mukasey, former US Attorney General, answered that question in the simple words: “Our trust has been betrayed.” When the residents of camp Ashraf were relocated to camp Liberty, it was agreed that a hundred people remain in Ashraf to guard and sell the property of Ashraf residents. The United States and United Nations had promised to protect those people and had guaranteed their safety and security. But on September 1st, they stood by and closed their eyes while 52 of my dearest friends were murdered by Iraqi forces. As a student, I spent many years living and studying in the United States. I’ve read about the history of the American people’s struggle for freedom and democracy and their respect for human dignity. But what abhorred me was to see human rights and values sacrificed for the benefit of political goals, which manifested itself in the US State Departments reaction to the September 1 massacre: a mere condemnation – and a vague one at that – without any substantial action to save the lives of the hostages and prevent further attacks on camp Liberty residents. One of the 52 victims was Hossein Madani, an old friend of mine who, like me, had spent many years in the US. A few days before the attack, when the Iraqi forces had cut-off the power and water of the camp, he had forewarned that the Iraqis were preparing to attack camp Ashraf and stage another massacre. But unfortunately, his warnings were not heeded by the UN and US, who had moral and legal obligations to protect them. On the dawn of September 1st, when I heard of the attack on Ashraf, I tried to communicate with Hossein several times. At 10:00am, after hours of fruitless efforts, I finally learned that Hossein and 51 other residents of the camp had been killed. On the same day, according to accounts given by witnesses who survived the massacre, the armed forces of the Iraqi Prime Minister, Nouri Al-Maliki, abducted seven of camp Ashraf’s residents, six women and a man. Despite the passage of 48 days and the disclosure of countless credible documents and evidence that prove the hostages are still in the hands of the Iraqi government, Maliki still denies having them in his custody. What happened to the protected person status that the United States granted us in 2005? What happened to all those oral and written commitments to protect the residents of Ashraf? Were we right in trusting the United States with our lives? Why did the US pass over the security of the camp to the Iraqi forces, despite our clear warnings that it would put our lives in danger? Why has nothing been done to correct this wrong after 5 massacres that have left 112 Ashrafis dead? Why hasn’t the State Department taken any action besides condemning the attacks? These questions keep spinning in my mind when I contemplate on the events of the past few years. What is clear is that the lack of action from the part of the US is putting the lives of the hostages in danger and might very well pave the way for their murder at the hands of the Iraqi government or their extradition to Iran, where they will be tortured and executed by the mullahs’ regime. And the disaster won’t stop there. Have no doubt that the continued inaction on the part of US and UN will give Maliki the green light to stage further massacres against the residents of camp Liberty, who have already gone through two horrible missile attacks in the past year. Now, put yourself in my position. What would you do in face of so much justice and betrayal? I tried all other options before deciding to go on hunger strike, and fact of the matter is that there is no other way left. I’d rather die of hunger strike than to wait for another massacre by the Iraqi forces, carried out under the cover of US and UN’s ignorance. Ali Akhavan Leil Abadi is a construction engineer with a Master’s degree from Virginia-Tech University, majoring in transportation and city-building. He has played a vital role in transforming Ashraf from a desert into a fully featured city in the past years. 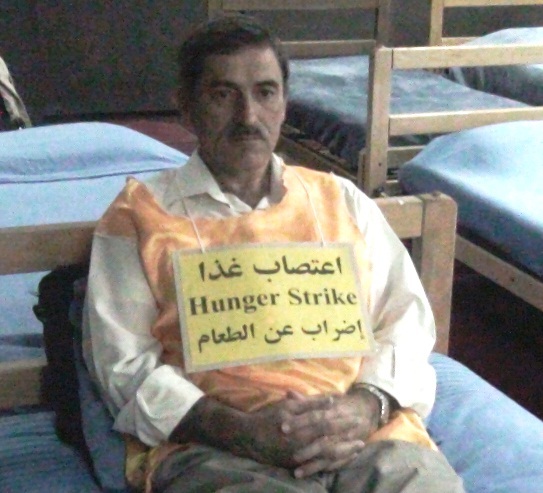 Ali has been on hunger strike since September 1st.